The rollback of federal restrictions on coal-plant emissions comes as Washington, Oregon and California seek to phase out of coal power. The three states intend to challenge the plan in court, arguing that the EPA is failing to regulate greenhouse gas emissions. A plan released Tuesday by the Environmental Protection Agency to scale back federal restrictions on coal-plant emissions is unlikely to have a significant impact in the Pacific Northwest and California, where a power- industry transition to conservation, renewable energy and natural gas is well underway. The new Affordable Clean Energy rule offers states flexible guidelines to reduce greenhouse-gas emissions from coal-fired plants. It replaces a plan laid out by the Obama administration to more aggressively reduce pollution that drives climate change. That plan was put on hold by the U.S. Supreme Court. The rollback is a key part of the Trump administration’s effort to aid an ailing coal industry buffeted by unfavorable markets and pollution problems. “We are putting our great coal miners back to work,” Trump declared during a Tuesday night rally in Charleston, West Virginia. The plan, which is subject to a 60-day public-comment period, was blasted by Washington state politicians. Gov. Jay Inslee and state Attorney General Bob Ferguson released a statement Tuesday saying the new rule “abandons our government’s obligation to protect health and reduce carbon pollution,” and declared an intent to challenge the plan in court. On Wednesday, Inslee and Bill Sherman, the state Attorney General’s counsel for the environment, made a joint appearance in Seattle where they gave further details about the upcoming lawsuit. Sherman said it would be a joint action with other states, but will not be filed until later this year, once the Trump administration power plant rule is finalized, and has been reviewed by state officials. Sherman noted that the U.S. Supreme Court has ruled that the federal government has a duty to regulate greenhouse gas emissions, and the legal challenge is expected to argue that the EPA is failing to live up to that obligation. He said that the Trump administration “time and time again” has disregarded facts and science when coming up with rules. But coal power also is imported to the state. The largest source is a four-unit complex in Colstrip, Montana, partly owned by Puget Sound Energy (PSE), Washington’s largest private energy utility. The two oldest Colstrip coal-units are scheduled to close by 2022. A closing date for the two new units, which produce some 70 percent of the power, has not been determined by PSE and the other five owners. Ron Roberts, PSE’s director of thermal resources, said he doesn’t see the Trump administration’s new power plan “really changing much” of our trajectory at Colstrip, which he said has been more driven by markets and state-level requirements that push toward cleaner-sources of power. Although there is no deadline for closing the two newer Colstrip units, Roberts says a key date is 2030, when two of the owners — PacifiCorp and Portland General Electric — will be forbidden by Oregon to import Colstrip power into that market. “We don’t spin on a dime. You can’t think short-term,” Roberts said. 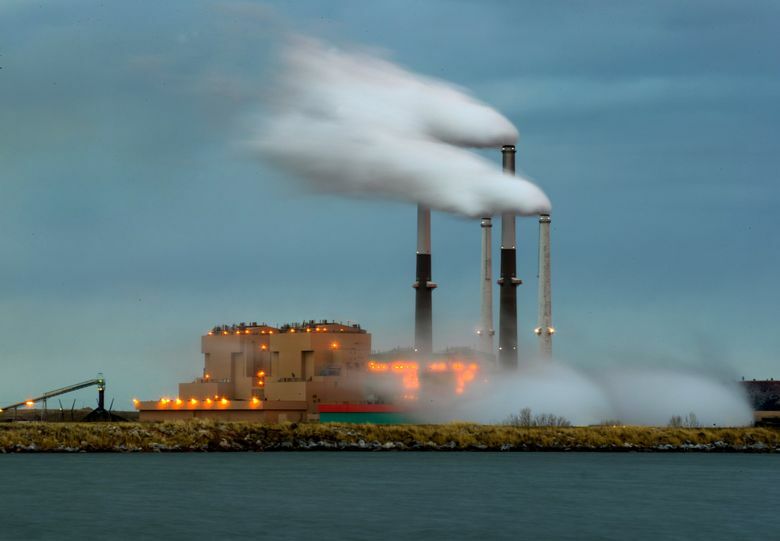 The Trump administration plan may remove some of the pressure for another owner, NorthWestern Energy, to agree to a closure of the newer two units. NorthWestern Energy is a major electricity provider in Montana, where there is strong political support for Colstrip as a source of high-wage jobs and local and state tax revenue. This summer, one additional wild card has emerged in the fate of Colstrip: A major problem with a complicated system to control toxic air emissions for the two newer units. Since June 28, the newer two units have only been fired up for emissions testing. Roberts, of PSE, says the source of the pollution problems there has not been determined and repair costs are unclear. The Colstrip plant problems have come during a difficult summer, with extreme heat spurring strong demand. Meanwhile, restrictions on a Southern California gas-storage site have made it more difficult to supply gas-generating plants. In August, power prices at a regional market hub have been almost double what they were a year ago, according to Jim Lazar, an Olympia-based energy economist. But West Coast states so far have gotten through this period without any major power outages.